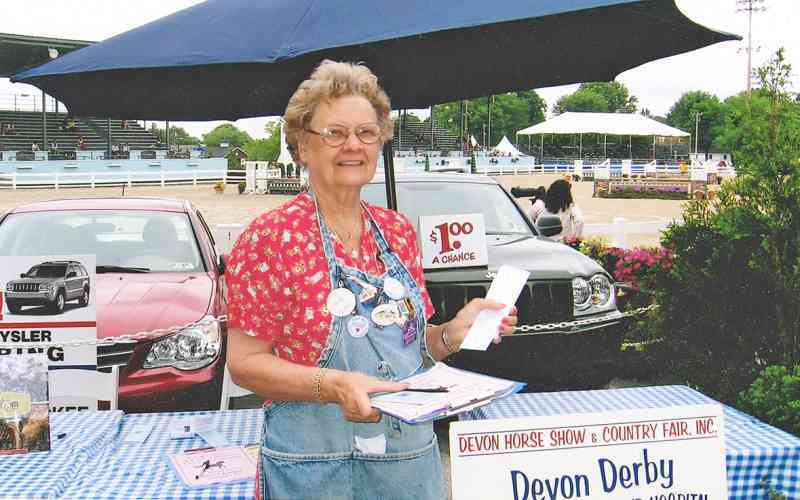 Daylesford Crossing resident Jan Grob has logged 35 years as a Devon Horse Show volunteer. A past Volunteer-of-the-Year, Jan started out manning the antiques booth. Now, her specialty is selling Devon Derby raffle tickets. Her best year was 500 books (at $10 per). Let’s help Jan beat that record at this year’s Show! You’ll find her in the grandstands with clipboard ready. Stop in at Daylesford Crossing this weekend. We're having a special Open House; Saturday, Sunday, and Monday from 11 am until 2 pm. Or pop in any time for a quick tour and take home free tickets to the Devon Horse Show.